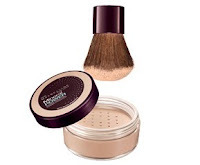 Maybelline is one of the most accessible and affordable brands around and their latest collections are sooo fantastically fabulous and have the look and quality of many high end cosmetic lines. Their gel eye liners rival Bobbi Brown and Stila's smudge pots, their high shine glosses remind me of a less sticky version of Lancome's Juicy Tubes and their mascaras of course speak for themselves. I caught up with Maybelline New York Makeup Artist, Gabriel Almodovar, who shared how to translate the line into wearable glam-worthy looks for multiple occasions. Q: How do you create an easy evening out look? A: You can create a beautiful evening look by using Eye Studio Color Plush Silk Eyeshadow in Green with Envy. Use the darkest color from this palette on the lid as the base for the smokey eye. 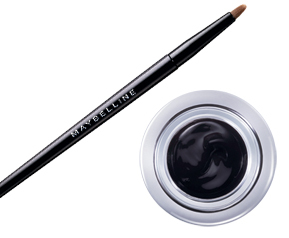 The eye is then paired with Eye Studio Lasting Drama Gel Liner in Blackest Black to darken the lashline even more. As a finishing touch, XXL Pro 24 HR Bold Mascara is perfect as it gives good depth to the lashes and longwear color. To complete the look you can use a bit of Shine Sensational Lip Gloss with a high shine that compliments the smokey eye beautifully. Q: How do you convert a day time look into an evening out look? EYES: Using Maybelline New York's newest products you can add a deeper shade of the Eye Studio Lasting Drama Gel Eye Liner thickly along the lashline and pull it out slightly to create a winged effect, which looks great for evening. 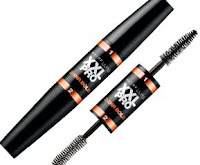 On top of your existing mascara you can add the primer layer and the lengthening layer of the XXL Pro Extensions Mascara to get more length out of your lashes. LIPS: Depending on what you applied to your lips for the day you can pair a lip pencil (Color Sensational Lip Liner) with Shine Sensational Lip Gloss. Q: How do the latest products reflect current beauty trends? A: I feel the best way to talk about how the latest products reflect current beauty trends is by referring to specific shows we did during this past season of Mercedes-Benz Fashion Week New York City. Mineral Powders are a huge trend because the average consumer is quite savvy these days and they want product that is good for their skin and can potentially repair their skin, hence our entire Mineral Power collection. The Michael Angel show had two mineral powders used- one as the face powder and the other as an illuminator on the apples of the cheeks. Gel liners are a big trend now because they play nicely with the red (bold/bright) lip trend. 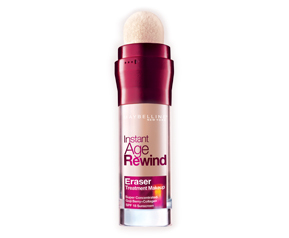 It balances the look out by keeping the eye makeup subtle and nicely lined. 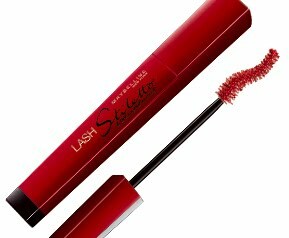 The trends with Mascara vary greatly and this season there is such an emphasis on lashes. The trends are lusciously long or pleasantly pump lashes. We have two new mascaras (one brand new the other not so new) that give you those exact results. Lash Stiletto Voluptuous Mascara with it's Grip and Extend Brush was used at the Tracy Reese show to give maximum length and volume and Colossal Volum' Express was used at the William Rast show to give a chunky look to the lashes. Q: What are the must have products to add to a girl's beauty wardrobe? 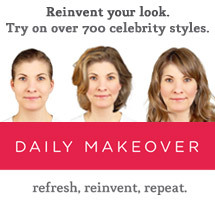 Set yourself up for less makeup by using (1.) 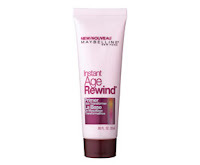 Instant Age Rewind Primer Skin Transformer. A good lightweight foundation like (2.) Mineral Power Natural Perfecting Powder Foundation is perfect since it will keep you matte and give just the right amount of coverage (2.) OR Instant Age Rewind Eraser Treatment Makeup is great no matter your age because it is so lightweight and fresh. Bronzed skin always looks great especially in the summertime so of course having (3.) 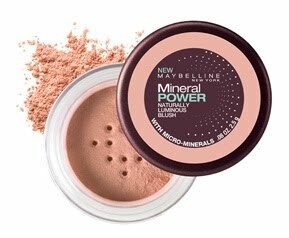 Mineral Power Bronzer is essential. (4.) Eye Studio Lasting Drama Gel Eye Liners are great since they are waterproof and won't smudge. To complete your eyes using (5.) 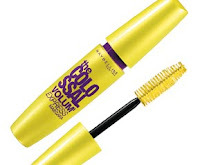 Colossal Volum' Express Waterproof Mascara or Lash Stiletto Voluptuous Waterproof Mascara will give you the volume and/or length you want without running all day long. And for your lips a great sheer lip gloss like (6.) 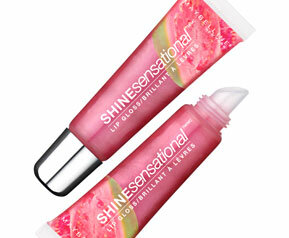 Shine Sensational Lip Gloss with its fruity flavor is a great summertime touch. Q: If you could pick one product from the line that we all need to run out and get, what would it be?" Color trends come and go but certain products are around forever... The one product to get from the latest releases in my opinion is the one and only Eye Studio Lasting Drama Gel Liner! It gives you intense color, it lasts all day, it's waterproof. It also comes with it's own brush so there's an added bonus. Check out my Vlog from the AOL Media Lounge during Mercedes-Benz New York Fashion Week. I'm wearing the fabulous Shine Sensational Lip Gloss after just visiting the Maybelline New York Lounge and scoring some free products! I love that green with envy. The hues really bring out the beauty in ethnic skin. Agreed. The eyeshadows are so gorgeous! They really rival department store brands!